Have I mentioned I love serving pieces? 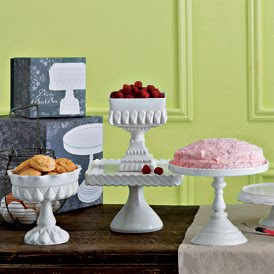 Food on a pedestal is always better. 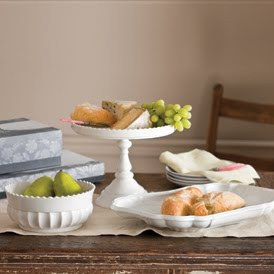 I like these because there are crisp white with pretty details plus you feel like you can put things that aren’t cake on them like delicious ruby red strawberries.